Duration: 8 days, to choose from throughout the year 2019. This trip "self-guided" or what is the same: “fly and drive” , It is specially focused to make several trekking routes through some of the most famous mountains in the country: Rila, Pirin and Rhodope, visit some of the most impressive natural phenomena such as Bulgaria 7 Lagos de Rila, the Wonderful Bridges, etc,..
Also the trip land it will reveal the inner Bulgaria, both their ancient cities: Sofia and Plovdiv, as its traditional villages with exotic architecture, rich cuisine and a mix of Slavic cultures, Bulgarian, Ottoman, etc. in perfect harmony. For more than 4 individual travelers or travelers, Please check price. This is a kind Itinerary, for this specific offer, but if you want other dates or duration, Please tell us your query by Custom quote request. This list is for informational purposes and monitoring depends on your interest and the time you want to spend on each visit. Day 1: Sofia Airport / Sofia (10 km – 35 min). Flight home town - Sofia. Airport pickup Sofia car rental and portable GPS navigator. Depending on the arrival time of the flight you can take advantage of the day to visit the city or do the last day. Accommodation in Sofia city: Hotel 3***. 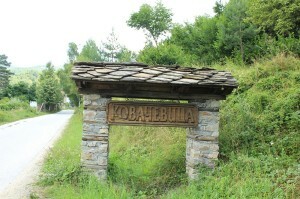 Day 2: Sofia / Panichishte / Rila (152 km – 2 h 45 min). In the morning you will go to the recreation center to mountain Panichishte 1.400 m. altitude and about 80 km Sofia, where they will catch the cable car up the mountain and visit the Rila 7 Lagos de Rila. Keep in mind that this cable car runs from June to September and in the ski season, outside those dates you can climb on foot but then the day hiking is harder ... We estimate a 4 hours of hiking to see 7 lakes and other 3 hour descent to the chairlift. 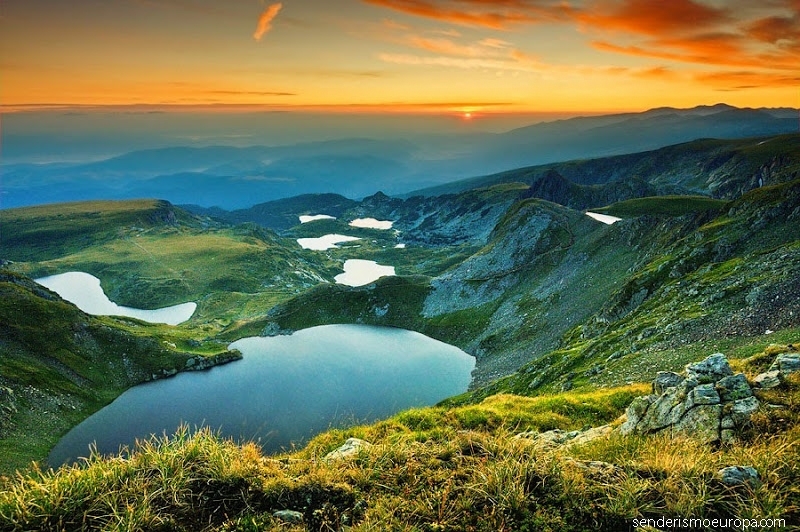 The 7 Rila Lakes are a group of 7 glacial lakes. Are a 2.100 meters on the level of the lowest sea and 2.500 meters the highest. The lakes are interconnected through small streams of clear water and very cold. More info on these lakes here. After transfer by road to the lodge in the winter resort of Panichishte, a few kilometers from the 7 Rila lakes. Day 3: Rila / Bansko (96 km – 1 h 45 min). 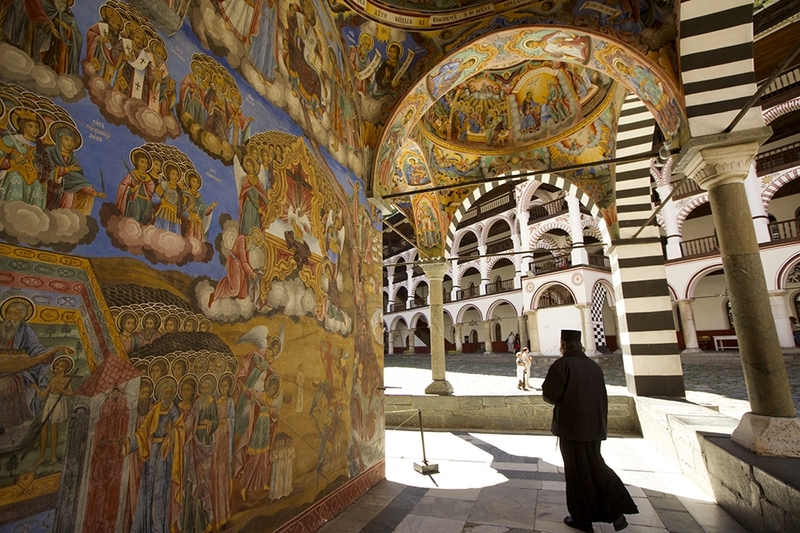 Arrival at Rila Monastery, the most famous monastery in Bulgaria and the Balkans, protected by UNESCO for the quality of its iconostases, its architecture and its history. 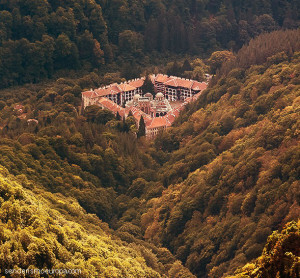 The monastery is located on the right bank of the river in the natural Rilska and National Park Rila. 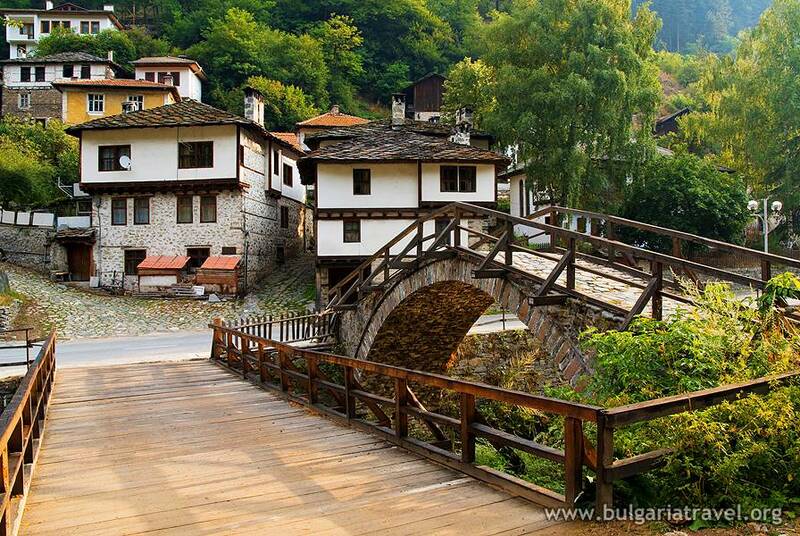 It is the most visited tourist site in Bulgaria. Occupying an area of 8.800 separated m² 4 sections corresponding to the 4 cardinal points that have 300 cells of monks. 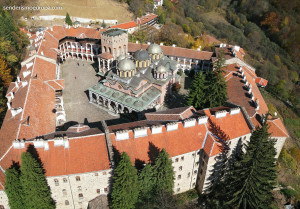 The monastery was founded by St. Ivan of Rila 930, but the current structure dates from 1335. The monastery suffered severe devastation and destruction during the time of Ottoman rule, but it could be protected. More information about this monument here. Blackened, columns, Wooden decorations and paintings are of exceptional beauty. 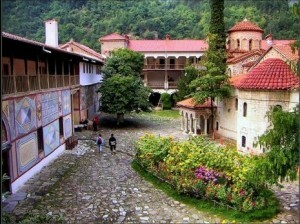 The church of the Virgin Asleep is considered the church with the best fresh in Bulgaria. Its carved wooden iconostasis is unique. The monastery museum reveals its long history, by valuables containing: images, sacred books, Altar Crosses, nineteenth century manuscripts, Gospels on parchment copies of the XIII century, etc. In the center of the courtyard of the monastery Tower rises Hrelio, a medieval defensive tower well preserved. The monastery is located in an exceptional setting in a lush forest. Continue this trip with hiking fly and drive dedicating this day to a path of trekking in the mountains of Rila, around the Rila Monastery. 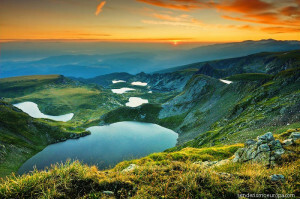 It will be a unique experience, relaxing and full of emotions enjoying the National Park Rila. From the monastery depart several routes, duly marked with different colors for hikers. 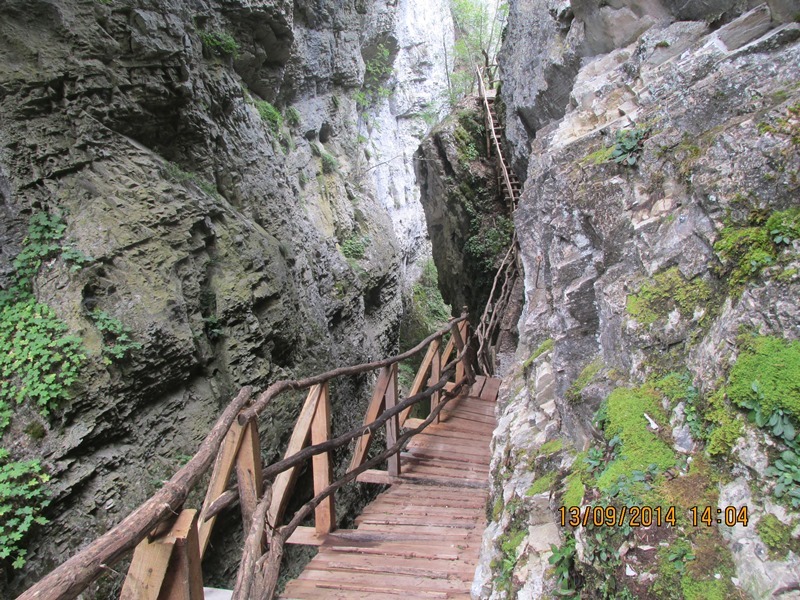 There are also thematic and nature trails, such as "Starata Zheleznitsa" (the old railway). At the end of the day transfer by road to the town of Bansko. Accommodation Hotel 3*** en Bansko. Day 4: Bansko / Pirin / Delchevo (56 km – 1 h 10 min). In addition to its historic old town, Bansko has a winter season that has been imposed in recent years by the state of the snow and exceptional site (at the foot of the peak Vihren - 2.914 m). Bansko also marks the entrance to the National Park Pirin, whose lush forests provide shelter to bears and wolves. This small city founded in the fifteenth century has preserved the originality of its popular traditions, gastronomy and crafts, that survive thanks to the cultural events organized throughout the year. A 925 m. altitude, at the highest and most beautiful part of Pirin, Bansko offers a unique architecture, appreciating the features of the Bulgarian cultural heritage. Its name comes from the old Bulgarian word "ban", which means "ruler". 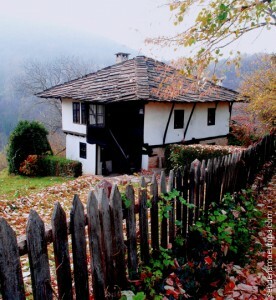 The style of Bansko is representative of the rural style of the eighteenth and nineteenth centuries. Their fortified houses, unique in its architectural genre, They are a testament to the independence of its former inhabitants. The houses are built with large stones and wooden beams, provided with several caches, closed to the outside world through solid doors and fortified walls. Those houses were the privilege of the rich of the time, all had fireplaces (even hiding) and a beautifully decorated facades. We recommend visiting the house Velianova. Many of these houses are today transformed into restaurants where dinner time is a mix of spectacle, culinary delights and traditions. You can visit the church of the Holy Trinity, a formidable example of the Bulgarian Renaissance 1885. 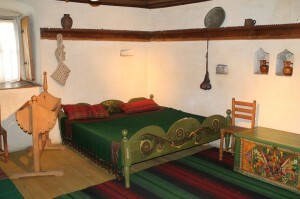 This house is located near the central square of the old town of Bansko and the Church of the Holy Trinity. The house is an example of fortified architecture of the era of the XVIII - XIX. 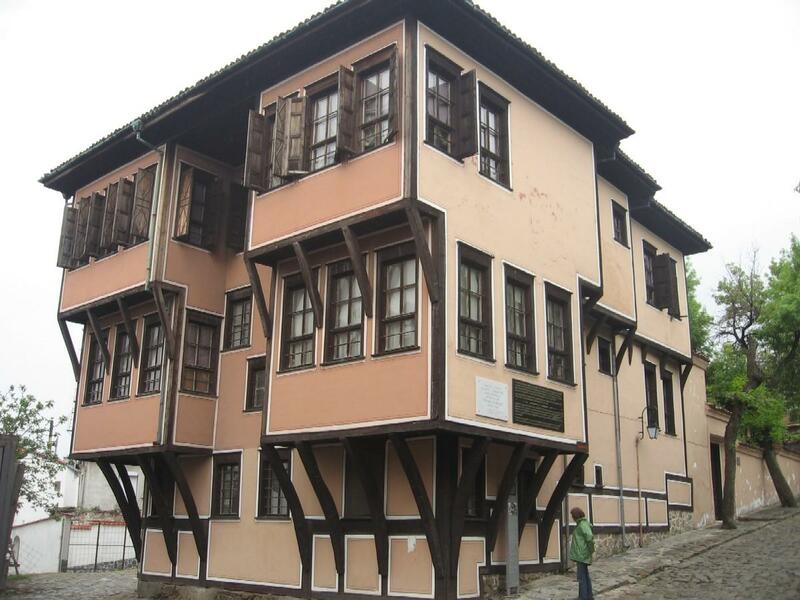 Built in the eighteenth century, Stone and wood, on two floors with several caches that allowed owners to escape attacks by the Turks. The house impresses with its decoration, frescoes and carved wooden ceilings decorated. The house is declared a National Historic Landmark. The proximity of Bansko Pirin National Park allows a very interesting hiking trails. 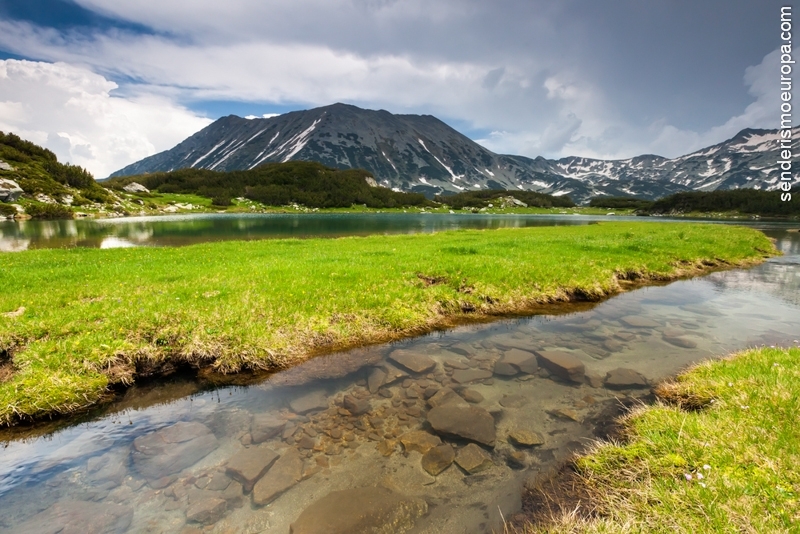 Pirin National Park acquired that status 1962, and it occupies a vast area of 40.332 It has. Its aim is to protect the unique beauty of the place and the protection of mountain ecosystems balance, and subalpine forest. Besides all this there are among other things more 70 lagos, waterfalls, grottos, a vast forest of ancient pines, including the oldest tree of all Bulgaria, Pino "Baykúchevata mura" estimated an age of more than 1.300 years. In the peaks of Pirin, of which the higher reaches Vihren 2.914 meters, vulnerable plant and edelweiss flower is. The wealth of the park and its varied landscapes only received worldwide recognition for what is on the list of world natural heritage by UNESCO since 1983. Leshten accommodation in Bed, double room with private bathroom. Day 5: Leshten / Kovachevitsa / The godina / Devin (120 km – 2 h 30 min). 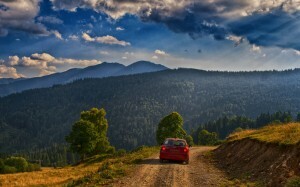 Time spent in the area of ​​high mountains of Pirin to the rounded hills of the Rhodope Mountains. 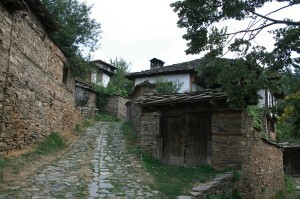 The village of Leshten is already in the Western Rhodopes, a 15 km from the town of Gotse Deltchev. 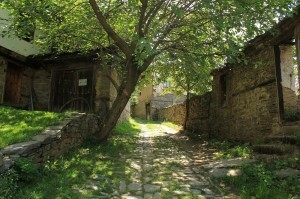 The village retains the spirit of the Bulgarian Renaissance with its old houses roofs covered with stone tiles. The walk through its streets paved with natural stone make them enjoy the atmosphere of the past, but also make them forget for a while the present. The small village of Kovachevitsa, usually it is not included in the usual tourist circuits, which it is an advantage to keep its authenticity, however we strongly recommend to visit because in our opinion is one of the most representative towns in the area, Meet him and judge for yourself ... This people will allow them to experience life as it was in the nineteenth century, and there you will notice as if time had stopped. It stretches along the river and Kanina according to historical sources, It existed since the early seventeenth century. The Bulgarians fled Islamization by the Turks settled in this town. 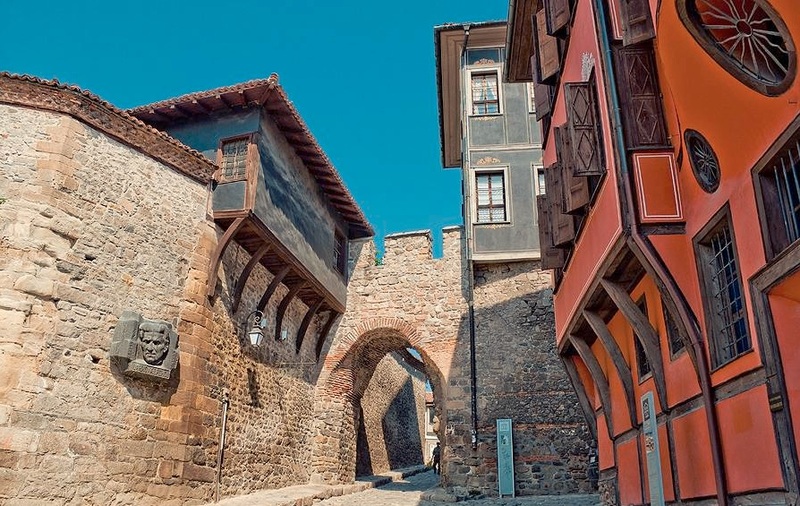 This town, and in the famous region of the Rhodope Mountains (Western or Eastern Rhodopes, more concretely), is today a town that retains the atmosphere of the past, Thanks to the architecture of the fortified houses of stone slabs roofs. The nature of this place and its surroundings is outstanding. Buynovo throats are the longest in Bulgaria. It lies between the villages of Yagodina and Teshel. 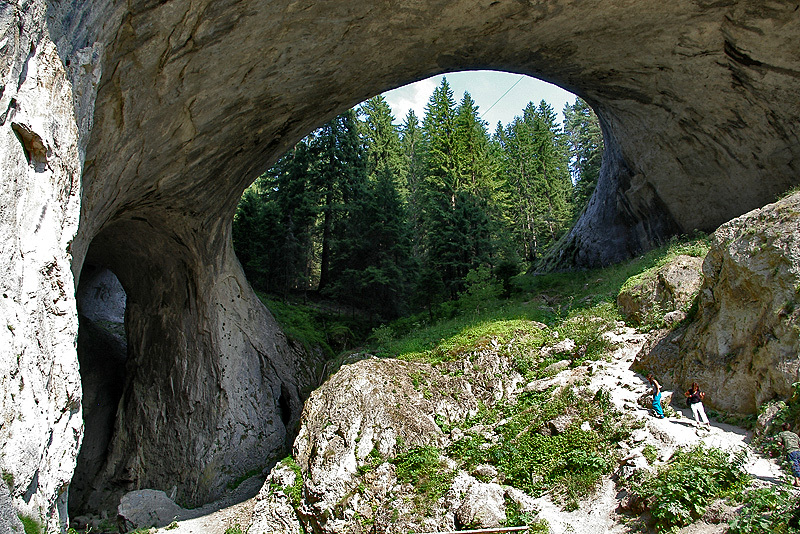 This natural phenomenon of extraordinary beauty thanks to the devastating force of the waters of Buynovska river eroded the rock was formed over thousands of years. 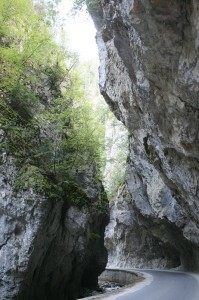 The cliffs surrounding the river reach several hundred meters. 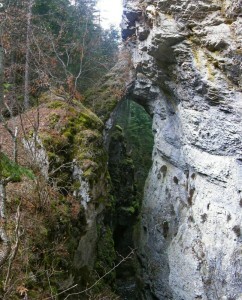 The narrowest part is called the Salto del Lobo. According to local legends, Wolves come through here in winter to attack cattle resting on fences. 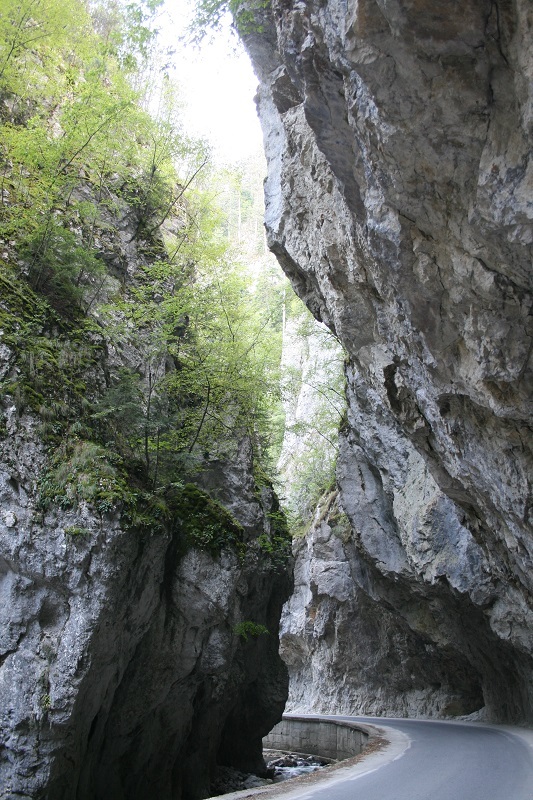 The karst activity is highly developed in the region. Around the village of Yagodina, are a 36 caves, among which is the best known, the Yagodina which is equipped and open to the public. 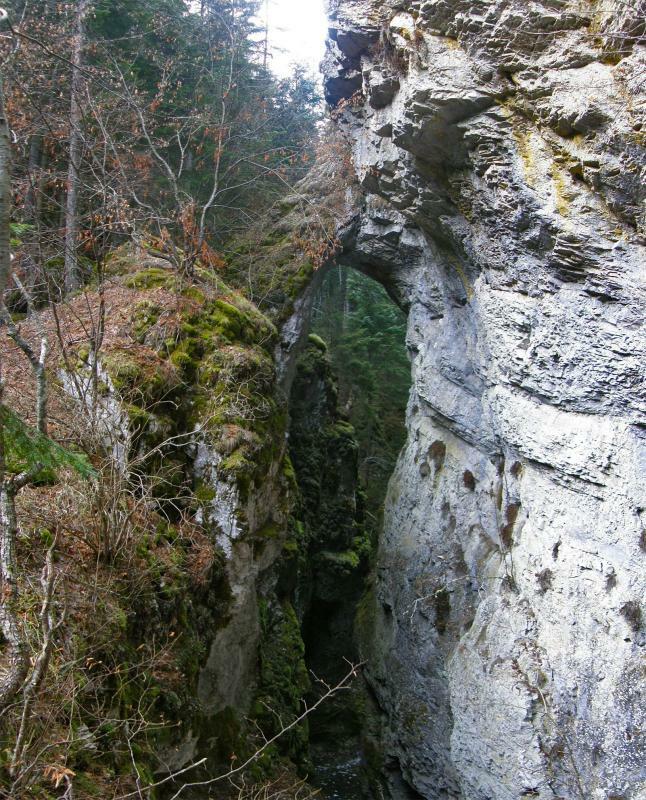 We recommend visiting walking path leading to "stone bridges" where rock formations shaped natural bridge is a sight to behold. 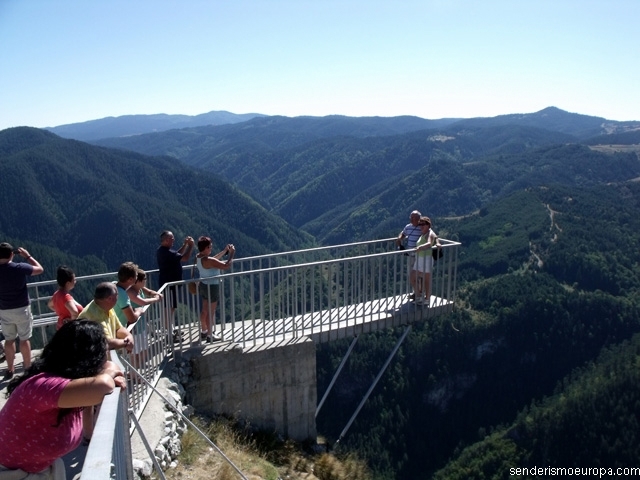 Optionally, you can also visit the viewpoint of Eagle Eye which it is accessed in “jeep” rental with driver from the village of Yagodina, after a rise in 4 empianada×4 a platform that allows for stunning views is reached, It is the chasm on the valley. Accommodation Devin en hotel 3***. Devin is known as a spa town for its mineral water resources, see more about Devin and surroundings here. Day 6: Devin / Shiroka Laka / Bachkovo / Plovdiv (125 km – 2 h 50 min). From Devin they will reach Shiroka Laka, national heritage village architecture, known not only in Bulgaria, but also abroad for its original architecture, typical of the region of the Rhodopes, for its musical traditions and its glorious past. It is the center of a small area of ​​five villages (Stoyko, Guel, Switching y Solishta) where the Christian population is interspersed with Bulgarians of Muslim beliefs (due to the Islamization of the Rhodopes region during the Ottoman occupation - during the seventeenth century). Natural particularities, insecurity during the Ottoman era, the national consciousness of the people and economic prosperity are reflected in the architecture of the village houses that are of the "big house of the Rhodopes". A little further down the road, several kilometers away, It is the village of Hella, considered the birthplace of Orpheus. That is the reason why in Shiroka Laka is one of the Academy's most famous folk music of Bulgaria and further every month of August in Hella is one of the festivals celebrated with more excitement. The Ethnographic Museum of Shiroka Laka. 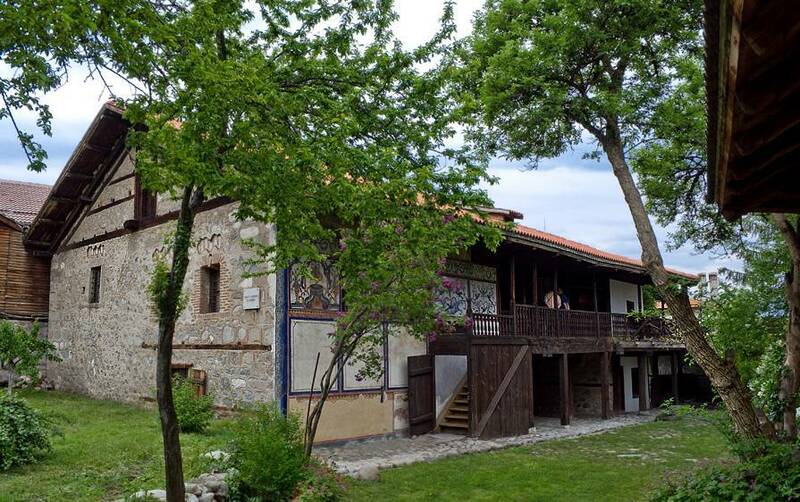 The Ethnographic Museum, located in the Konak building Zgurovski, It allows to know the architectural style of the interior towns of Bulgaria, customs and folklore. The house was built in 1.853 by local teachers, by order of a local noble rich. According to legend, the house was never inhabited by its first owner. Unhappy with the attitude of contempt toward builders owner, those last cursed the house and its owner, whereby the latter ended up selling the house. As the new owner was official, the house was called Konak (Town hall). After entering the day before in the authentic rural life of Bulgaria within our self-guided hiking trip will allow us to redo a path of trekking in the mountains of Rhodope, towards the village of Zabardo the road has a detour into the woods, once on foot you will find the natural phenomenon of "Wonderful Bridges", two huge arches of rock in the woods formed by natural erosion and impress with their size and fanciful shapes. Natural phenomenon "The Wonderful Bridges"
It is the second largest in the country after the Rila monastery. It is built in 1.083 por Georgia Bakuriani, a Byzantine commander. Bulgarians invested heavily to enlarge and embellish. Put in monitoring during the Ottoman occupation, Monastery continued to receive support and donations of Christians. The splendid church of Santa Maria in the courtyard was built in 1.604, where unique seventeenth century sculptures are saved. The latest renovations that were made during the 1.830-1.840 fresh artist Zahari Zograf and his disciples. 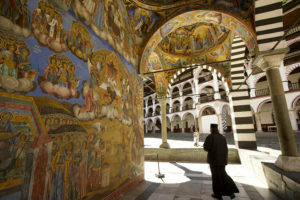 They will also see the miraculous image of Mary, part of a popular cult that goes beyond religion, the refectory and its large marble table, or Byzantine collection of old books, Bulgarian and Georgian. Among them is a Byzantine musical manuscript of the twelfth century. 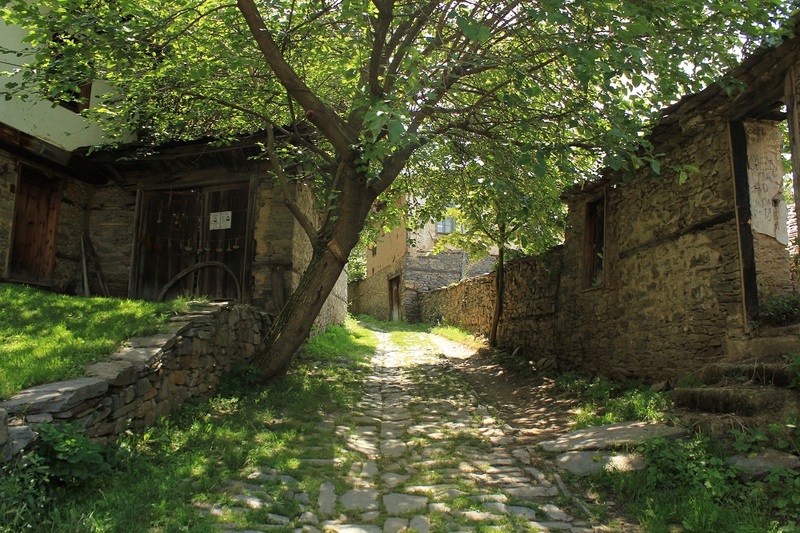 Follow the path to reach the ancient city of Plovdiv to stay. Hotel accommodation in Plovdiv 3***. Day 7: Plovdiv / Sofia (146 km – 2 h.). 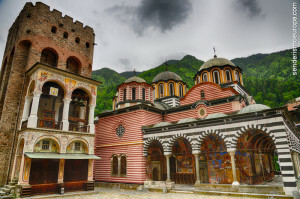 It is the second largest and most important city in Bulgaria and the oldest in Europe 6.000 year history being continuously inhabited, more than Rome and Athens. The remains of the Thracian civilization mingle with Roman monuments, while the old Ottoman mosques add an oriental flavor to a city, where civilizations that followed, sometimes quite opposite, Plovdiv knew how to let their best and thus, make it a unique and original city. Mix from various eras and different architectural and cultural influences, It is especially the exceptional group of houses which gives its unique charm Plovdiv. The Lamartine house is an example of them. Plovdiv eIt s also the capital of contemporary art and has been declared European City of Culture 2019. There the best preserved Roman amphitheater in the country is. It also has a beautiful ancient Roman theater dating from the second century, built under the reign of Trayan. This gifted theater capacity 3.500 about and with a nice view places on Trimoncium (the Roman name for Plovdiv), some shows and concerts is currently engaged throughout the summer and be must for lovers of ancient history. . They can take a walk down the main pedestrian street, Street Prince Alexander of Battenberg, where you can observe amazing walking neo-baroque houses. The old town of Plovdiv is an essential place for visitors to the city of Plovdiv. Visit the Old Town passes positions artisans who make their products in their shops. We suggest you visit the pottery workshop Elena, housed in a small local wood, attached to the emblematic church of Saints Konstantin and Elena. Elena will be a pleasure to meet them and teach them the secrets of their art. There you will find pottery, painted and handmade jewelry, All objects made by herself. La "Hisar Occupied" ("Kapi" in Turkish means "door") It is one of the three main gates in the wall of the ancient city of Plovdiv. The door can now see, according to different sources, dates from the period of s. XI – XIII. But nevertheless, the first door in this place dates from s. III a. de C. After the invasion of the Goths during the s. II a. de C. the walls were restored and the original gate was built into the wall. 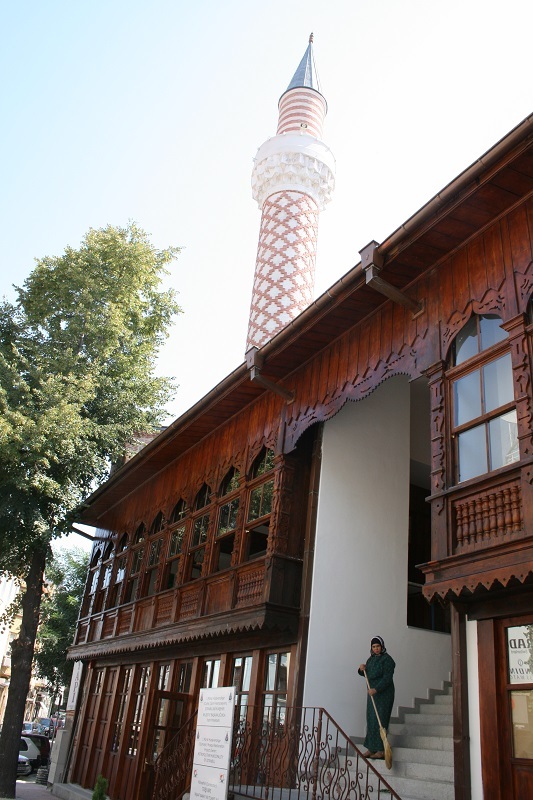 The Dzhumaya Mosque encentra in the center of Plovdiv, opposite the Roman Forum, in the pedestrian area of ​​Plovdiv. The mosque was built on the site of the old cathedral of Plovdiv "St. Petka Tarnovska" shortly after the conquest of the city by the Ottoman army (1363-1364). During the reign of Sultan Murad II (1421 – 1451) the old building was demolished and in its place the building of the mosque that we know today was built, Ulu Dzhumaya mosque calling it means "the main mosque Friday". 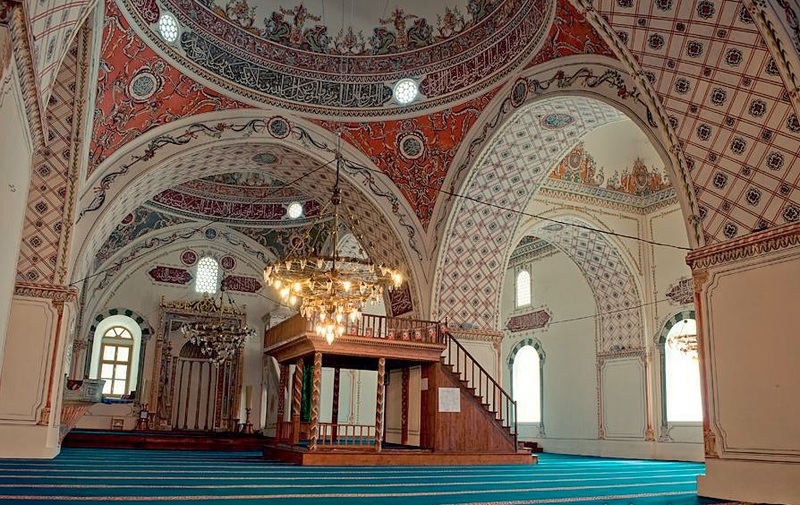 It is one of the oldest religious buildings Ottomans in the Balkans and its artistic beauty does not detract from inside the famous mosques in Istanbul. The Roman Stadium in Plovdiv is in the "Dzhumaya" square. Was constructed, modeled on the Roman stage of Delphi. In the world are preserved only 12 this kind. It has about 200 meters long and so far is exposed only the far north and the area of ​​the fortress wall of the second century - IV AD. Formerly, it celebrated sporting events, gladiator fights and animal fights: the famous Pythian Games, Alexándricos and Kendrezicios. In the main entrance they were discovered the remains of a hydraulic clock. In ancient times, the stadium had a capacity of 30.000 plazas. At the end of this exciting day with the most interesting city in Bulgaria from the standpoint of cultural and historical, transfer 2 hours by road to Sofia. Hotel accommodation in Sofia 3***. Day 8: Sofia / Sofia Airport (10 km – 35 min). Last day of trip, depending on the departure time of the flight back to Spain will be able to know the city, we recommend these places of the city by order of interest but are free to choose where to go, also stroll through the spacious parks or shopping to take advantage of low prices thanks to exchange ... Sofia surprises for being the European capital which has a mountainous area near the center of the city than any other capital. The San Alexandar Nevski Cathedral. It is the most visited and emblematic monument of the capital. It was built between 1904 Y 1912, in tribute to the Russian soldiers killed in the country's liberation from the Ottoman occupation. The Saint Alexandar Nevski, Padrón was the Holy Tsar Alexandar - liberating the country. Its golden domes are visible from any point of the city and its bells resonate within more than 30 km. The crypt of the church houses an exceptional collection of icons from the ninth century to the nineteenth century. It is very beautiful exterior and interior and the nearby street is usually a market with antiques of the communist era and also painters and craftsmen icons put on sale their works, curious to visit. This splendid church was built while the San Alexandar Nevski Cathedral. 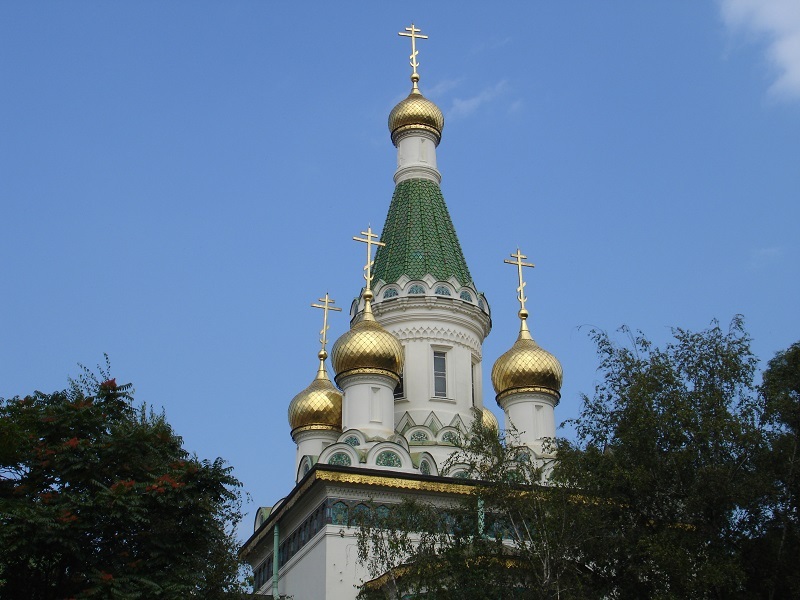 The style of the church is that of the Russian churches of the seventeenth century with its 5 golden domes. The interior somewhat meager and dark, It is decorated with frescoes and a very pretty picture of ceramics. 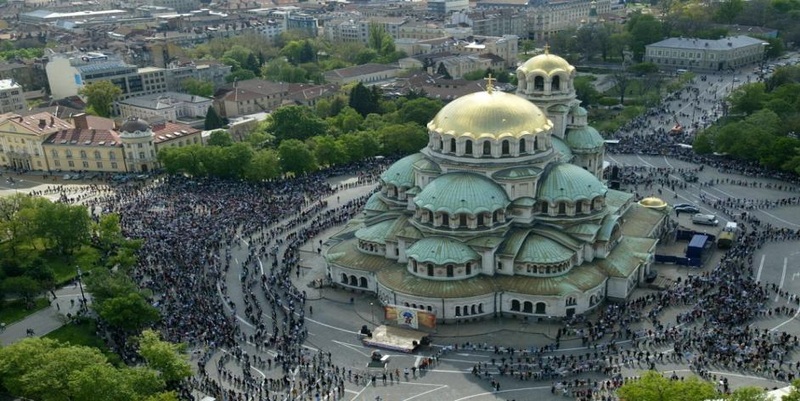 Its proximity to the Alexandar Nevski Cathedral is the symbol of the strong Bulgarian-Russian link. La Mezquita Credit Bany (Bulgarian: Banya Bashi Mosque, After several credit dzhamiya; Turkish: Go Mosque Banya) is a mosque located in the center of Sofia which was built in the year 1576 during the Ottoman occupation of Bulgaria. Its name comes from Banya Bashi which means many baths to be surrounded by ancient springs of thermal mineral water. It is believed that its construction was directed by the famous imperial architect Sinan, who was an architect of the Topkapi Palace and other famous mosques in Istanbul. 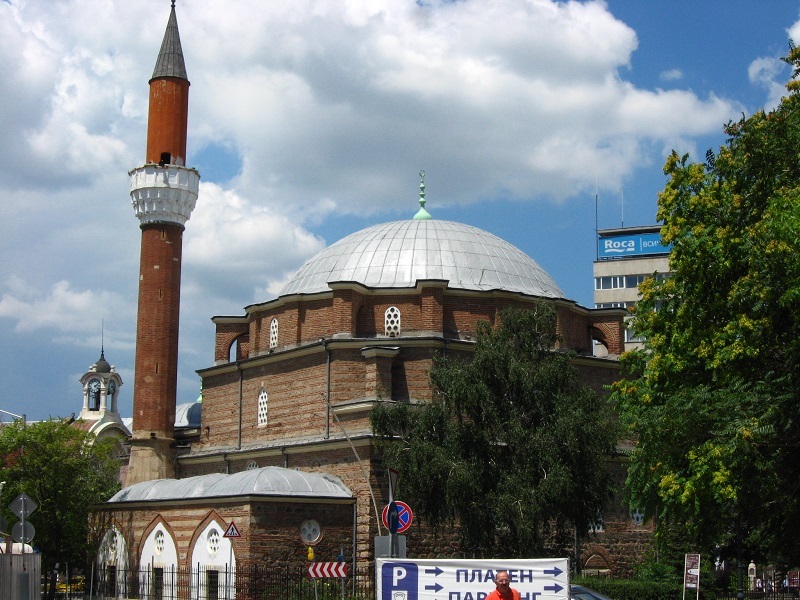 Today remains a Muslim tiemplo of worship and as proof of the religious tolerance that prevails in Bulgaria is located a few meters from the Hebrew Synagogue, Catholic Cathedral and several Orthodox churches. The building of the public baths of neo-Byzantine style was built in 1913 at the same location of the ancient Roman baths. With the modernization of private homes, públicosperdieron bathrooms clients up to its closure to the public. However many people today collects water from hot springs every day, since water has many medicinal qualities. From the old Sofia it is famous for its hot springs and cold mineral water. 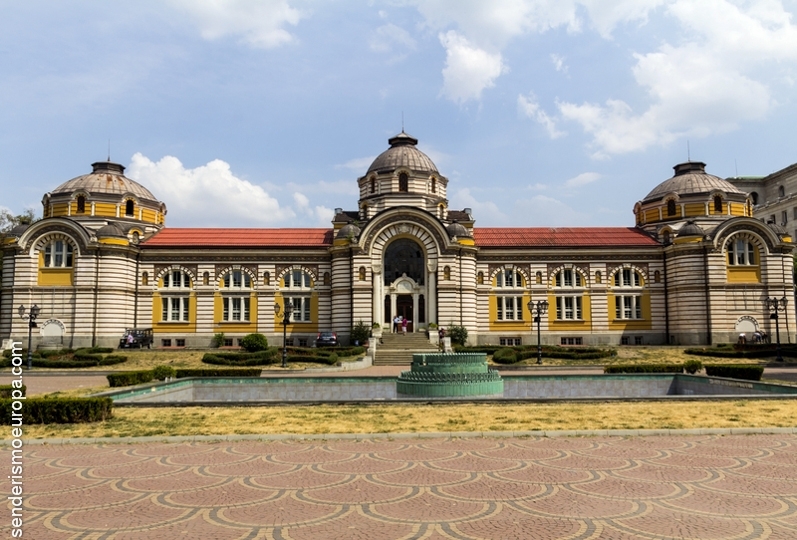 Today the building houses the interesting Museum of History in Sofia. Depending on the time of departure, transfer to the airport where they will deliver the rental vehicle, end of their journey and departure back to Spain. - The delivery and collection of the car at Sofia Airport by personnel rental company (English speaking). - Vehicle rental - a minimum rate segment C (tipo Opel Astra, Ford Focus, Peugeot 301, etc…), unlimited mileage, Super all-risk insurance C.D.W. : Collision Damage Waiver (disclaimer for collision damage), third party insurance, insurance against theft and fire, It does not cover damage to tires or tires, or theft or loss of keys, or theft of luggage or personal belongings, It includes second driver free of charge, highway traffic rates (Vignette) and roadside assistance 24h / 7d. - Regime: Bed and breakfast. - practical travel guide in electronic format. - Telephone assistance 7d / 24h contingency during the trip. - If you want higher end hotels to the aforementioned can be reserved at an additional cost, consult. - The single room supplement. - Airline tickets going / return. - Insurance cancellation, repatriation, or medical expenses. - Fuel (in 2018 the average price of fuel in Bulgaria was a 10% less than in Spain ). The rental car is delivered with a full tank and must be returned equally full by the end of the trip. - Child seats and snow chains for the car rental. They can be rented on request in advance, Price on application. - To collect your car hire you have to give a deposit of between 100 Y 300 €, depending on the segment the vehicle, which will be refunded to the return of the vehicle if it does not suffer any serious damage or lack of cleanliness. - Fees and payments for parking, estimated a 15 € en total. - Visits to places of interest: museums, monasteries, iglesias, etc..(estimated a 25 € / person). - Refunds on the grounds that some of the stages or visits reflected in the itinerary could not make. - Any other concept not reflected as included in the previous section.